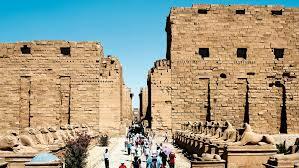 Khaled al-Anany, Egypt’s Antiquities Minister declared that there is a decrease in the price of the Luxor Pass, which gives access to ancient monuments in the city and the surrounding area. Anany was speaking at the 5th Global Summit on City Tourism in Luxor. He said that the board of the Supreme Council of Antiquities (SCA) permitted the price reduction at its last meeting on Sunday. This decision is for attracting tourists to Egypt and for funding the ministry’s work for renovating tombs and museums. Anany’s announcement was combined with opening of the tombs of Seti I and Nefertari to visitors. Luxor is currently hosting the Global Summit organized by the UNWTO for boosting and improving its tourism globally. Mostafa Amin, secretary general of the Supreme Council of Antiquities, said the first type of Luxor Pass had been lessened from US$270 to $200. This pass helps visiting all the archaeological sites, including those of Seti I and Nefertari. The second permit price has also been lessened from $110 to $100.